... and not just in its looks. The TRILAB DeltiQ is a reliable printer made with high-quality parts that’s used for professional printing in business and in the lab. Industry has been using this concept for high speed and precise repeatability for many years. And it’s practically made for 3D printing. 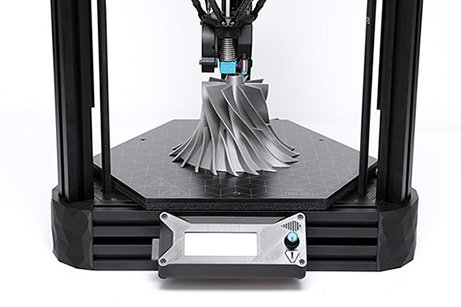 The use of delta kinematics eliminates the flaws found in ordinary printer types. 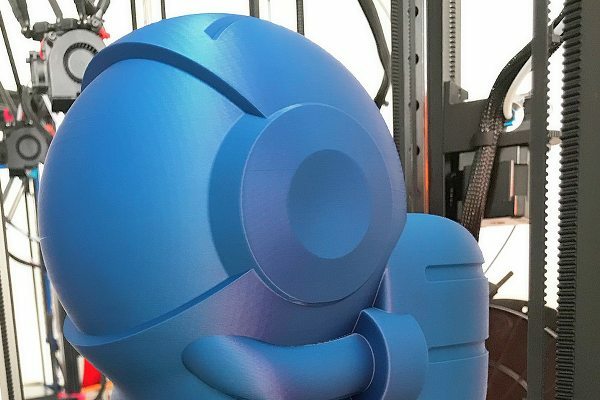 You won’t suffer printing errors caused by motion, because your model doesn’t move. 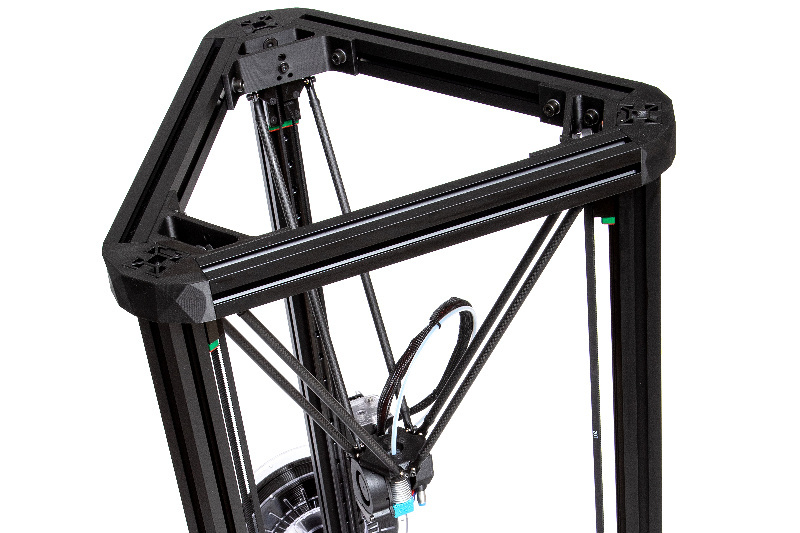 And this also enables the printer to print higher overhang angles and longer bridges without the need for supports.. This printer’s behavior is highly predictable from the first layer to the last—it delivers top-rate print quality throughout. 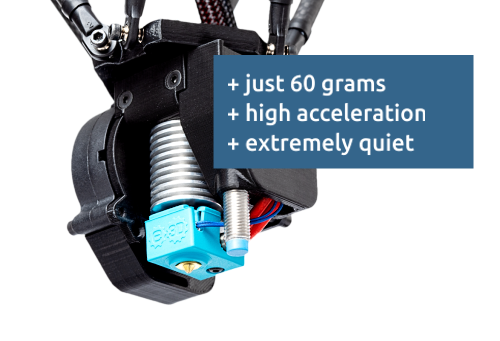 The printer’s lightweight moving parts enable high print-head acceleration and high printing speed, hand-in-hand with superb precision. Packed with modern technologies down to the very last gram. Suspended on firm yet light carbon arms. Make no compromises—print fast while still printing precisely. 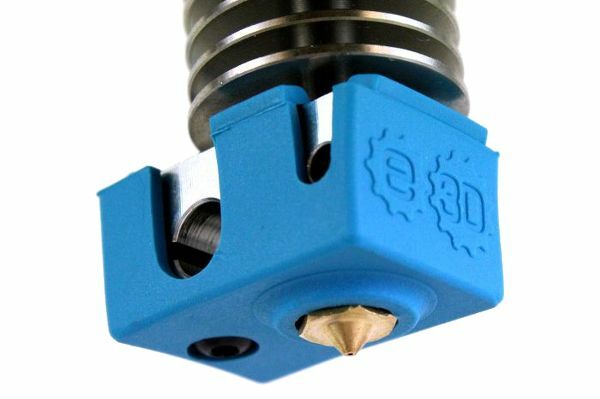 The E3D v6 hotend ensures proper melting and batching for every printable plastic. 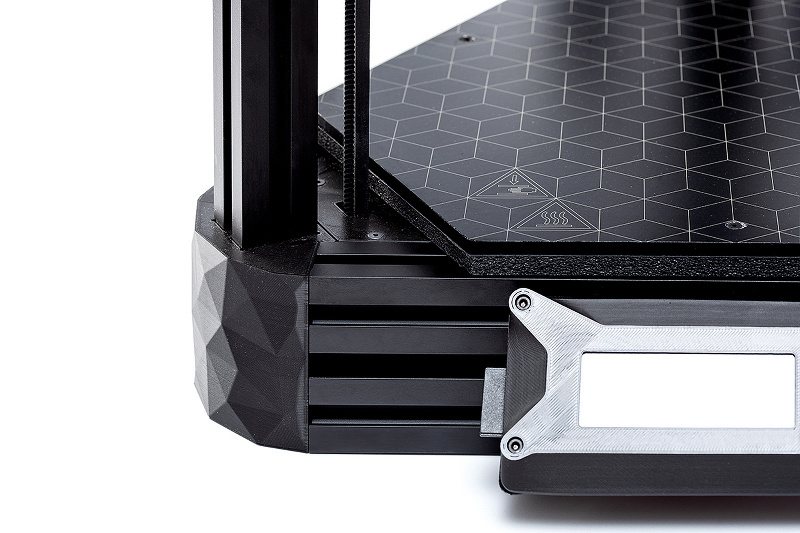 Thanks to this, your prints’ surfaces are perfectly uniform every time. 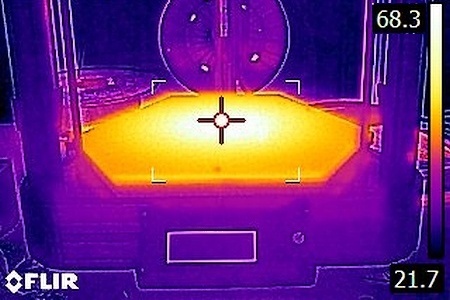 The cooling tip aims at the freshly printed material precisely, and doesn’t cool the nozzle. The cooling is designed to provide the very best results for overhangs and bridges. 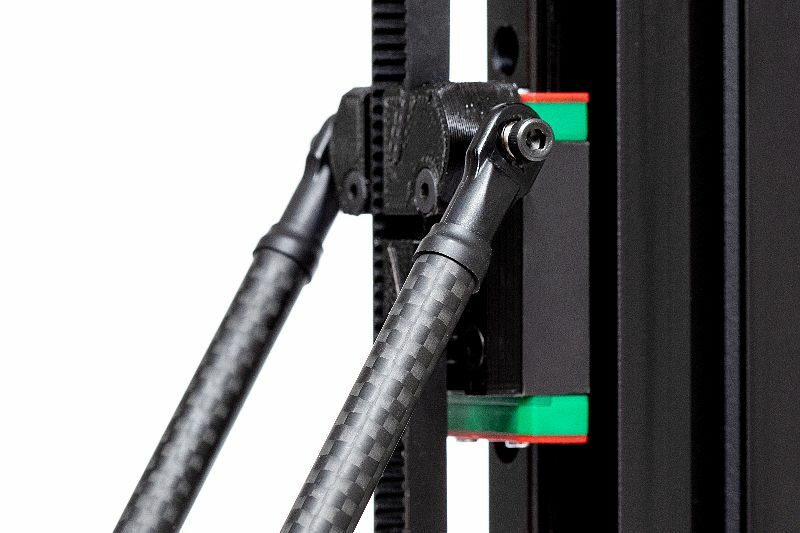 The E3D Titan geared extruder is located outside of the moving head—but this doesn’t prevent it from applying a strong force to the filament as it’s laid down. 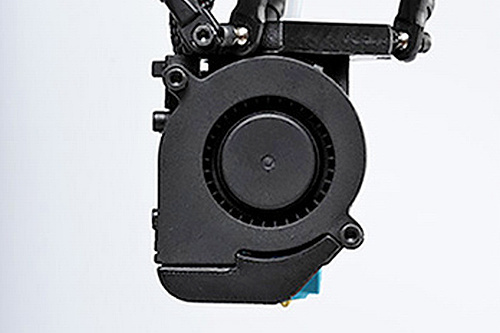 And meanwhile if you’re printing extreme materials, we can mount the Zesty Nimble extruder on request. It’s a half a centimeter of honest aluminum alloy that won’t bend even at its top temperature of 105 °C, and it distributes heat perfectly. Its milled surface is covered with a resistant Polyetherimide (PEI) coating that will keep every build in place. Under the bed, you’ll also find insulation that speeds up heating and saves energy during operation. 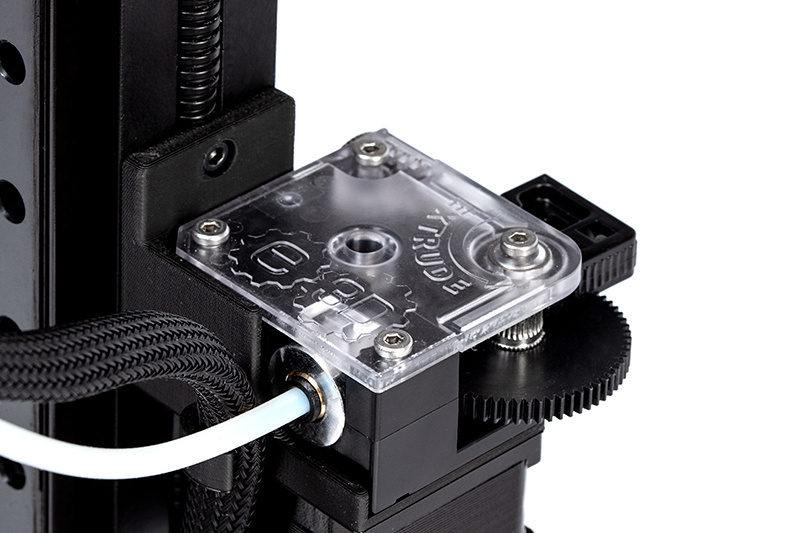 The DeltiQ can suspend the printing process and wait for a new filament to be loaded in. The built-in display and card reader mean there’s no risk of errors caused by a frozen or slow PC. Unstable power from the grid? No problem. It won’t upset the printer. The DeltiQ automatically detects barriers during printing and stops the process. The DeltiQ can turn off automatically when printing is done. In a frame you can rely on. 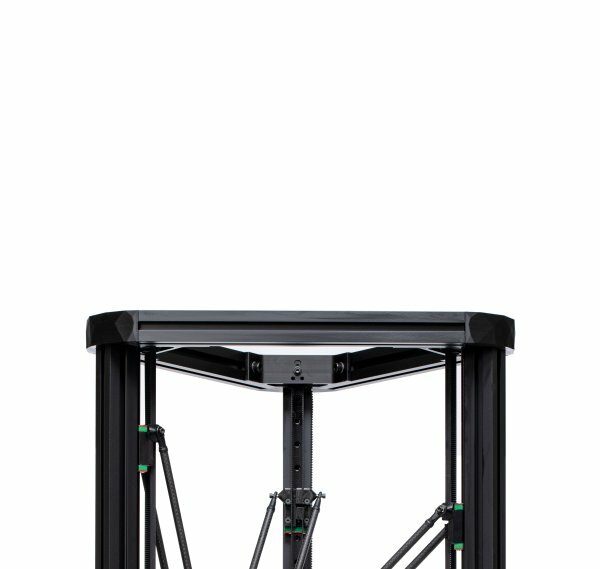 The whole printer is fitted into a firm three-sided frame with exceptional stability (and also exceptional portability if you need it). You won’t find any weak points in a DeltiQ printer. This printer’s linear guidance system ensures precise and repeatable print-head positioning. This prevents the printing errors that would come from loose guidance. 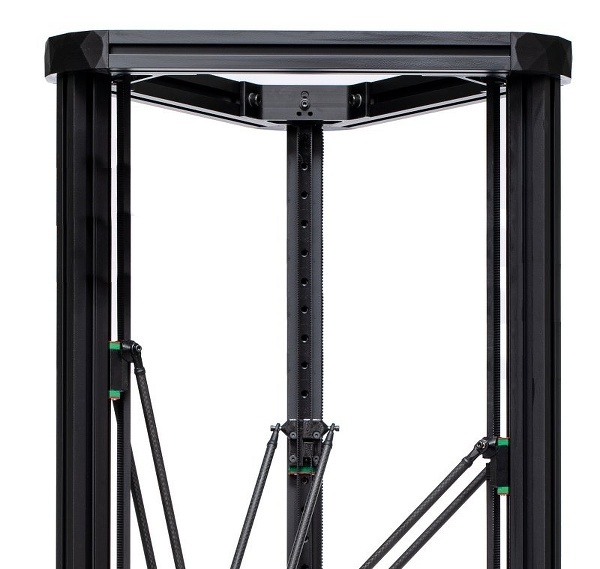 A frame that’s made from high-quality construction profiles and specially-designed corner sections ensure that this printer is stable under all conditions. No ugly cable bundles sticking out. You’ll gladly put your DeltiQ on display in your office, and its noise won’t distract you—but the graceful motions of its delta kinematics just might! You can get the DeltiQ in any of several sizes, designed precisely to match the size of the print area and build height you need. 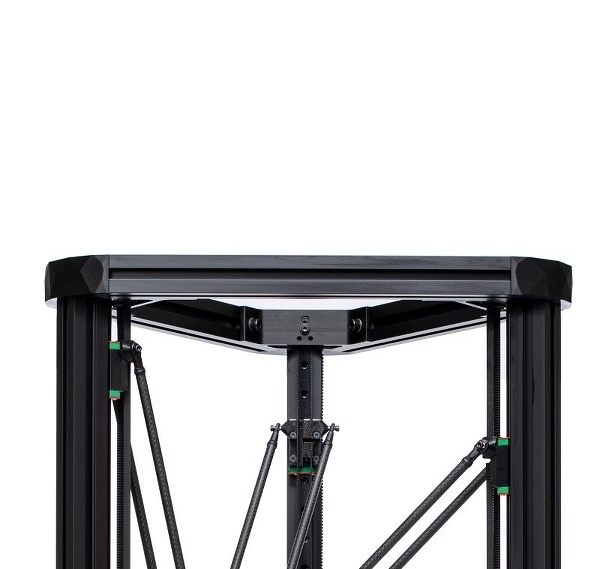 And even the DeltiQ XL prints with the same high precision as all the rest. A great tabletop printer for small projects. A very universal tool for every challenge. When you need tall prints at great quality. 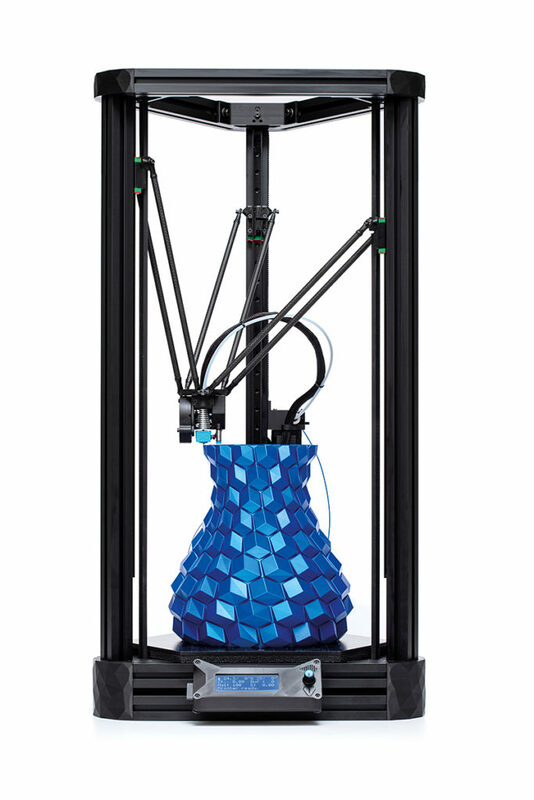 Worried you won’t get full use out of a 3D printer? Are you worried that you aren’t yet ready to get full use out of a printer? Afraid to invest in it? Then just give it a trial run! Write us and send us your model, and we’ll print it to order at any size you need. Or borrow a printer! We can gladly provide short-term test rentals with the option to buy once you’ve been convinced by the DeltiQ. Just write us..
Print materials and accessories can be purchased, please contact us.